Without knowing ahead of time, this was the trip that I have been waiting for since I was a boy. We didn't see the highest peaks in the world, or dangle from our fingertips, but we did have one of the most genuine experiences I can imagine. 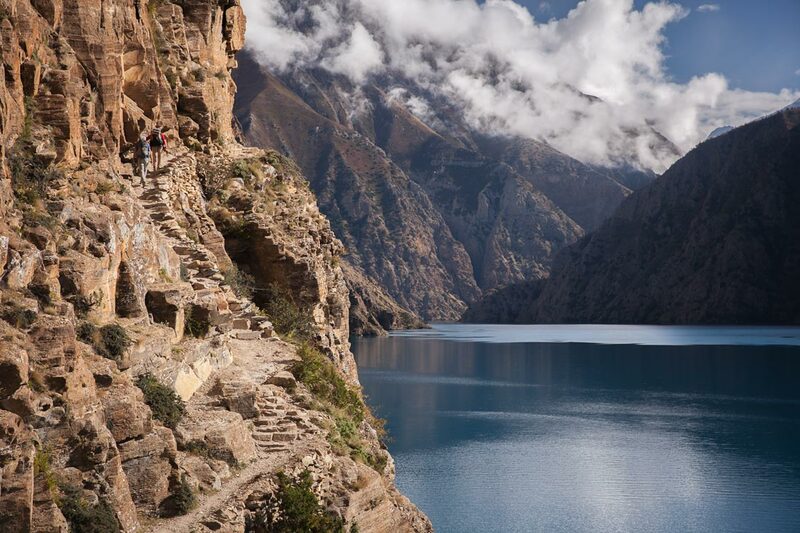 Lush valleys and wild rivers marked the first part of our journey and were culturally Nepalese. 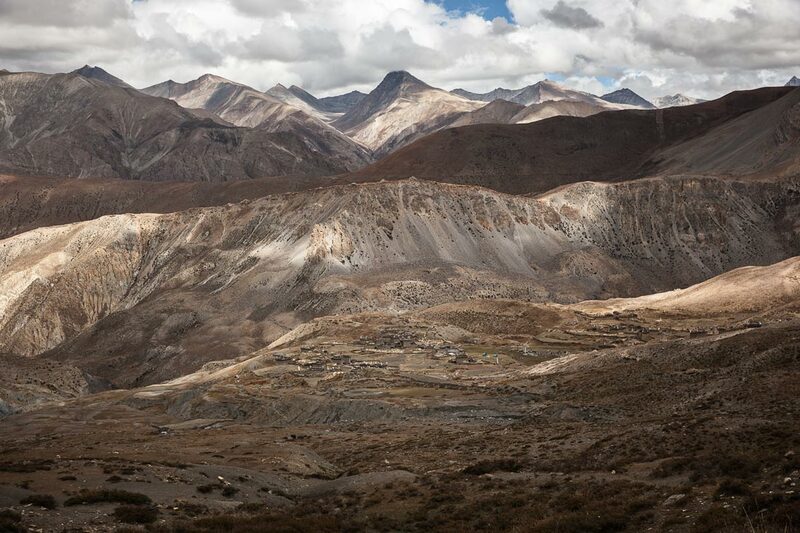 When we crossed our first of nine passes, we entered another region altogether, geographically, geologically, and culturally Tibetan. Over the course of the trip we bobbed back and forth between these two worlds, meeting new people, taking in some of the most beautiful scenery you will ever lay eyes on, and settling into a new reality for 25 days. Please submit your request and a representative will contact you. Please enter a short description of the image. Like all of our Nepal programs we began this trip in Kathmandu. 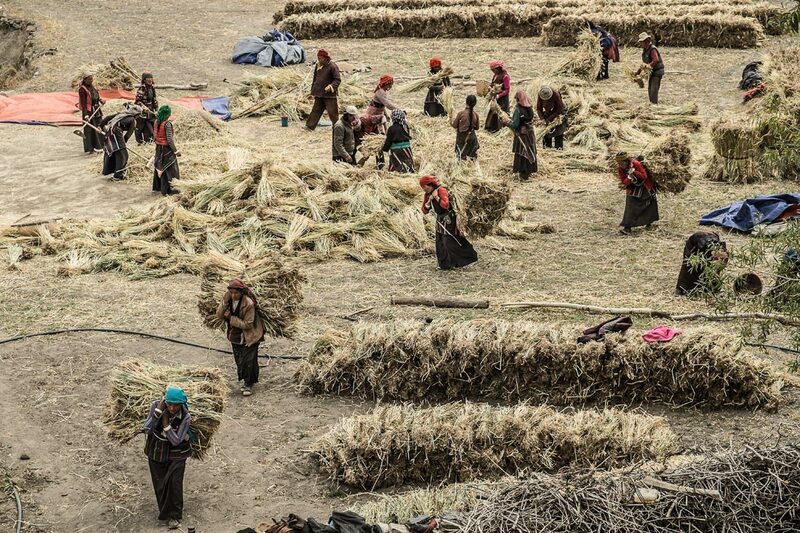 No matter how many times you pass through Kathmandu, it still saturates your senses and draws you into the chaos. You cannot cower in Kathmandu, you’ve got to jump in with both feet. One of the many highlights is touring ancient cities within the city and visiting ancient architectural relics. 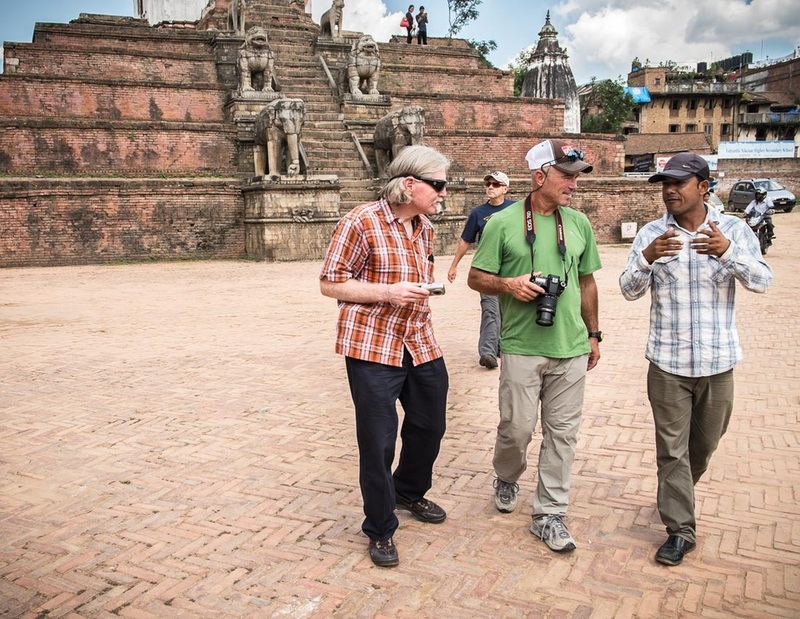 We had a chance to walk through the World Heritage Site, Bhaktapur, just outside of Kathmandu. 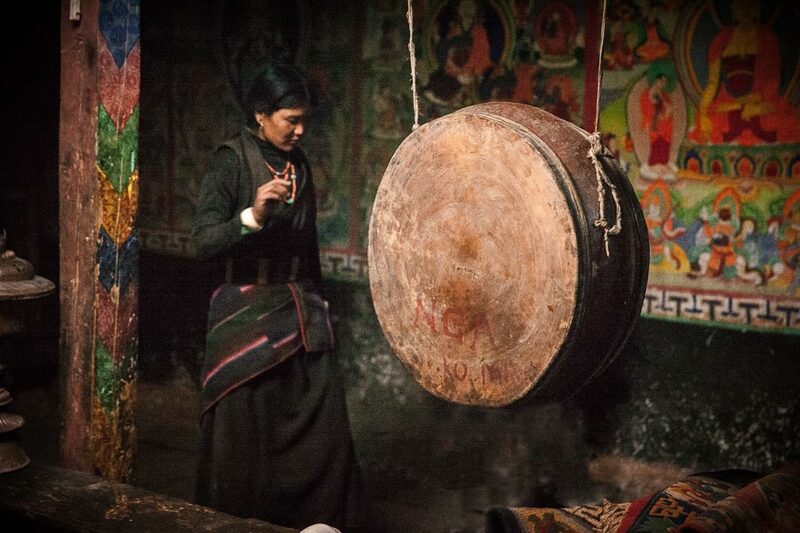 During the evening kora around one of the largest ancient stupas in the world (Boudhanath in Kathmandu), monks, nuns, pilgrims, Tibetan refugees, locals, and visitors circumambulate this ancient spiritual and cultural anchor in a timeless act of consciousness. Departing Kathmandu we flew to Nepalgunj on the border with India. It was hot and spartan, but we had a pool, and some of the best Tandoori we’ve ever had. Not much to see or do there other than try to stay cool. Early the next morning we boarded a 9 seat Cessna Caravan and escaped to the crisp clean air of the mountains. We flew to a makeshift runway in Masinchaur. (15 km away from our original entry point, which was closed for runway repairs.) The runway was carved into the hillside with one old bulldozer and a lot of beast and hand work. 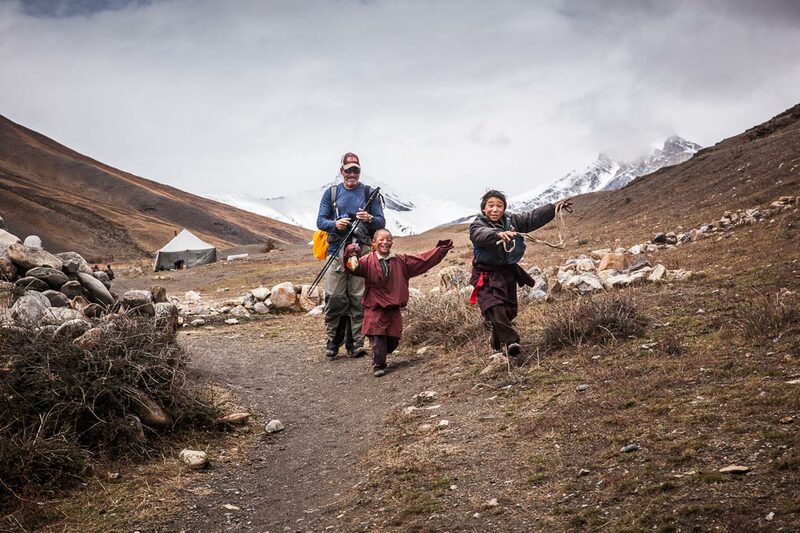 We made up the extra 15 kms that day and made it all the way to Dunai, the local launching grounds for treks through Lower Dolpo. 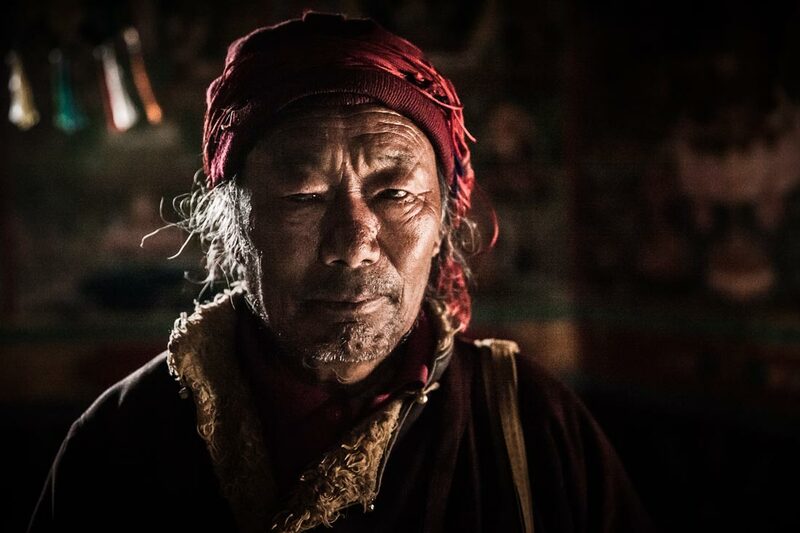 Lobsang and Kazi Sherpa were waiting in Masinchaur and walked with us to Dunai where our cook Jor Bahadur Rai, Nawang, Perba, and Ram Bahadur met us. The next morning we followed the Thuli Bheri river and crossed to one of the steeper canyons with the Suli Khola (river). Our first meal on the trail was a hot lunch in a garden on the river bank underneath a shade tree. We talked with the owners of the garden and had tomatoes and cucumbers that they had grown. 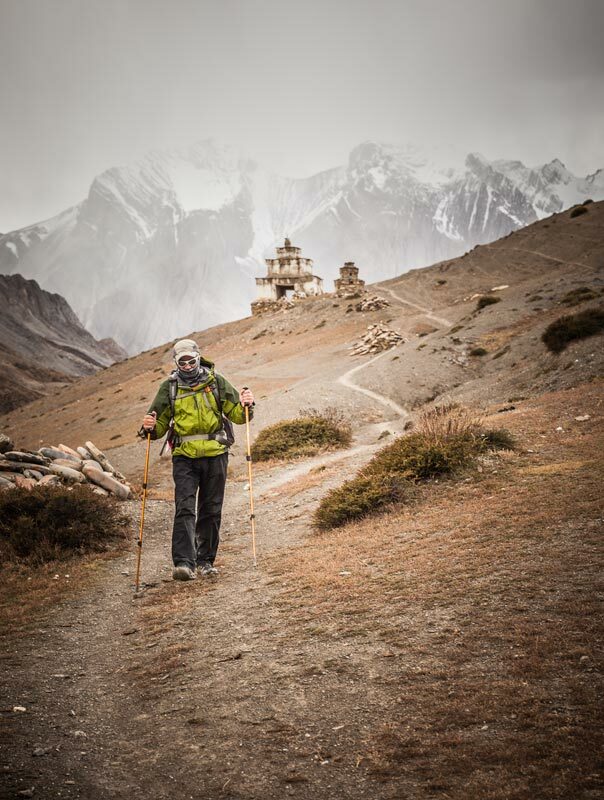 For the rest of the day we ascended to Syangda at about 6000’. We established camp very near the river and fell asleep easily to the soothing sounds of the river. Like all mornings to come we woke up early, more excited about the day to come than fatigued from the day before. Jor Bahadur Rai brings tea and coffee to the tents along with the unfailing smile that greeted us every morning no matter what the weather. 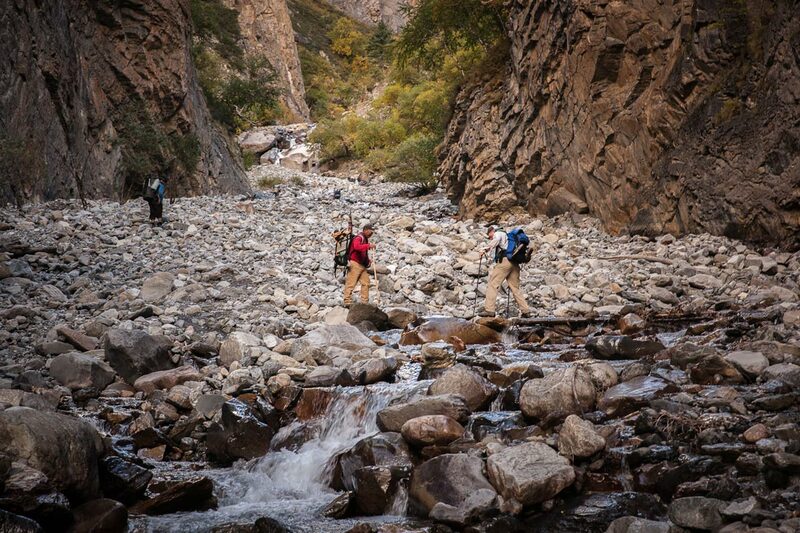 After a full breakfast with fresh brewed coffee we hit the trail headed for higher ground. 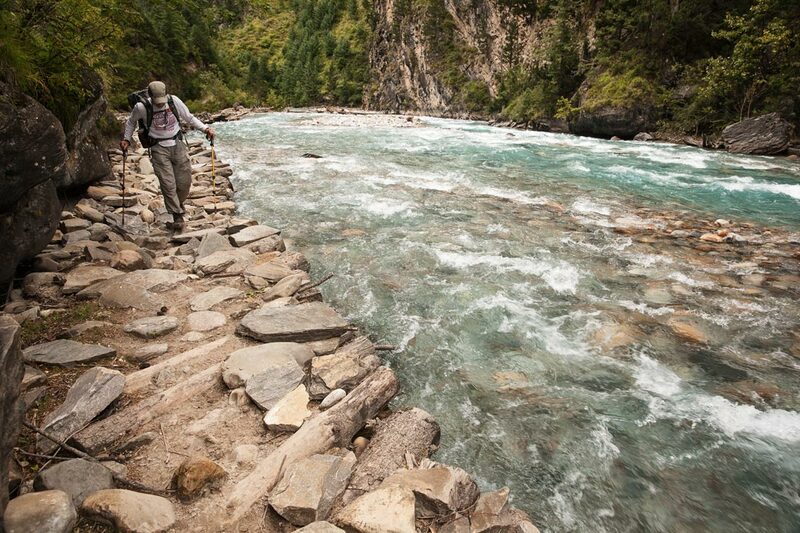 We continued along the river ascending through steep old growth juniper forests to Amchi Hospital. 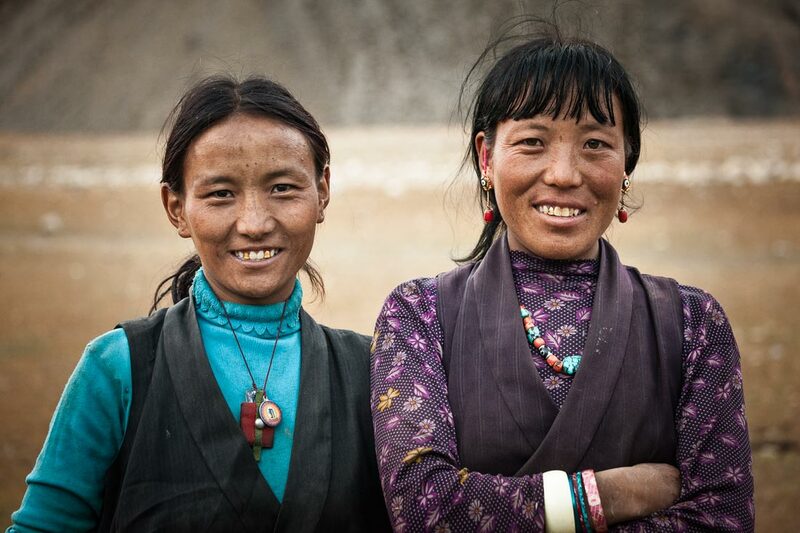 “Amchi” means “science of healing” or “doctor” in classical Tibetan and local dialects. This was a very long day! 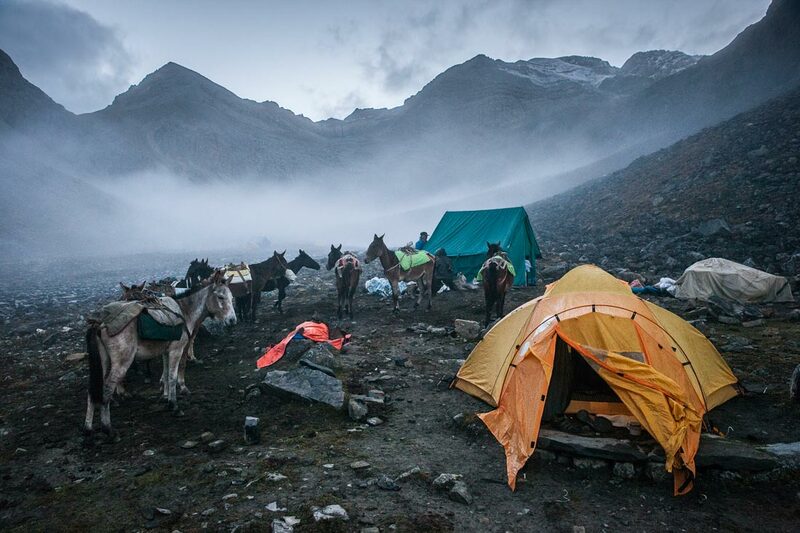 We spent the night above Amchi in Chunuwar, and readied ourselves for the next day’s steep climb to Ringmo at almost 12,000’. 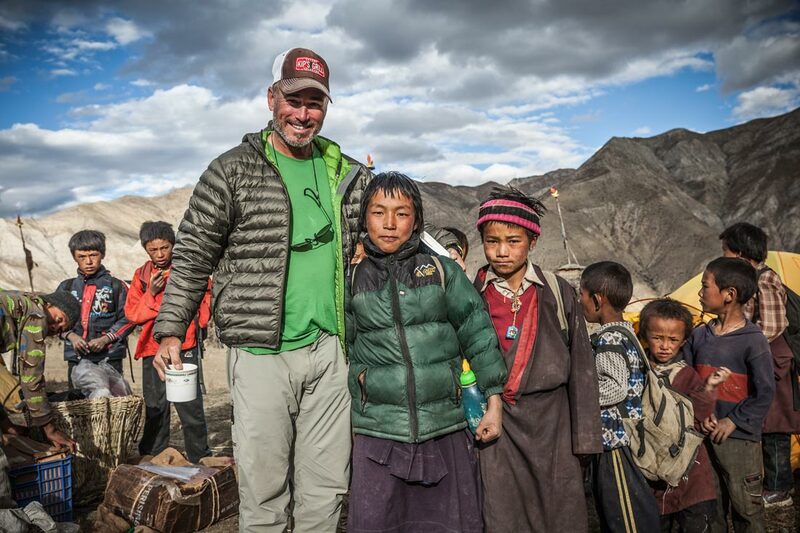 Not only could Nawang carry a huge load and help Jor Bahadur have a hot lunch available for us on the trail, he is a great guy! 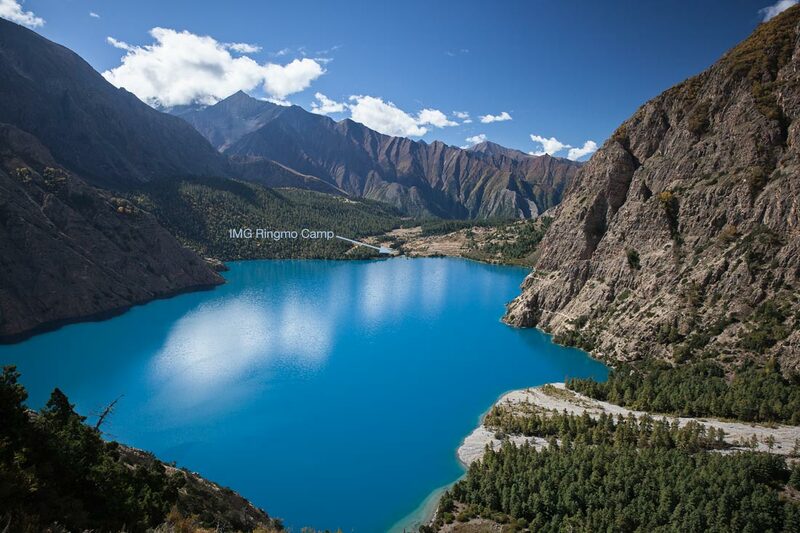 Ringmo is the village at the southern shore of Phoksundo Lake. The village is established on the 40,000 year old landslide / natural dam that created the lake. The lake is almost 500’ deep and must be seen in person to appreciate the magnificent color of the water. We took a rest day here and visited the 900 year old Thashung Gompa on the eastern side of the lake. Lobsang's busted strand of prayer beads. 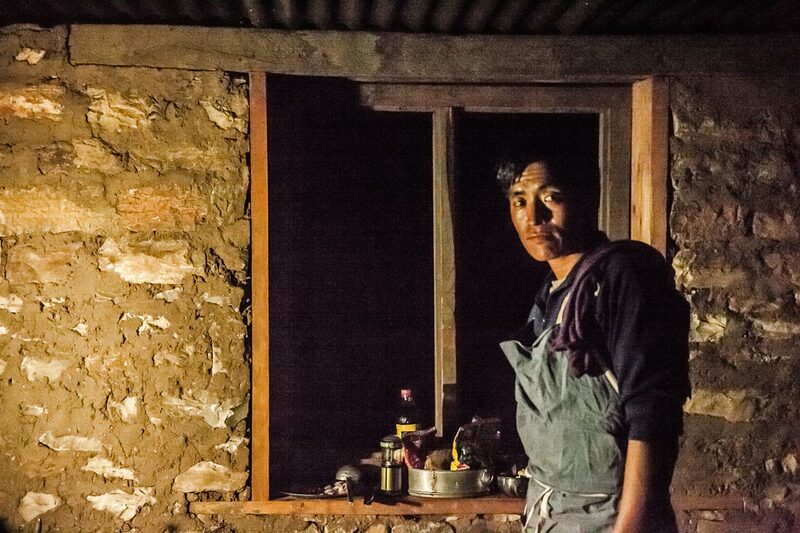 Unravelling a piece of webbing to restring Lobsang Sherpa's prayer beads. The next day we traversed high above the lake to its northern end where we began to follow the Phoksundo Khola north to a campground below the hanging glaciers of Kanjirowa Himal. 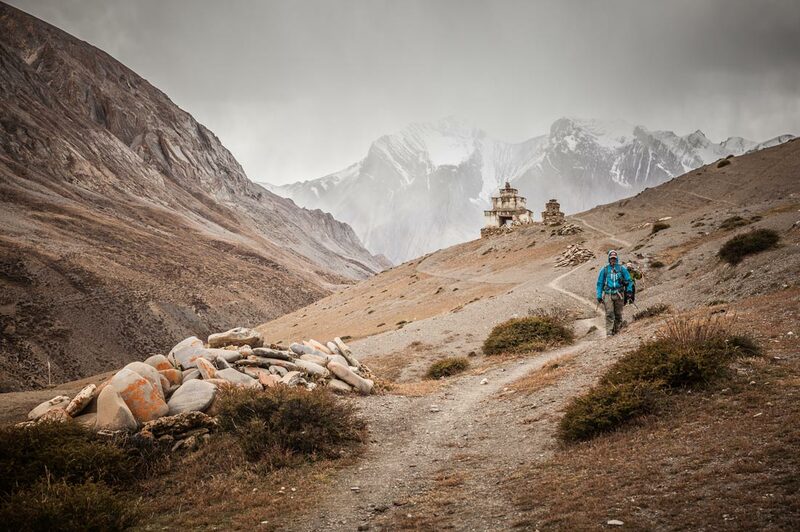 We were 1.5 days from the Himalayan Crest and eager to see what was on the other side. The steep climb the next day along the Tuk Kyaksa Khola included many river crossings, yellowing birch leaves, and crisp skies before emerging above tree line. The frigid water and shade of the steep canyon kept us moving quickly and we gained altitude with striking efficiency and efficacy. Before we knew it we were pulling into our camp at 15,200’. We enjoyed more great food and were into our sleeping bags before the real cold set in. This morning the first pass awaited us, and our small group powered down a hot breakfast and hit the trail in the presence of Kanjirowa Himal. 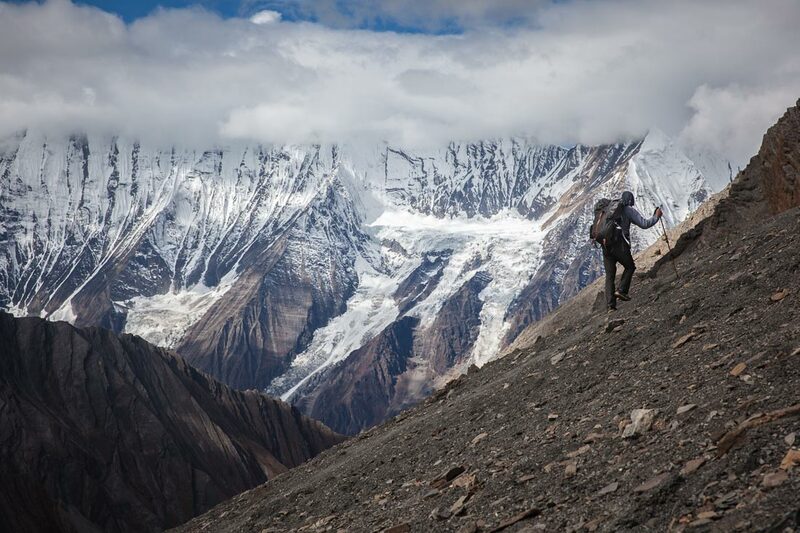 The transition is steep, cold, exhausting, and exhilarating, but the struggle to the top of Nangda La at 17,400’ is quickly forgotten when we see the other side. Miles and miles of open country dappled with light streaming through the weightless clouds of the expanse. 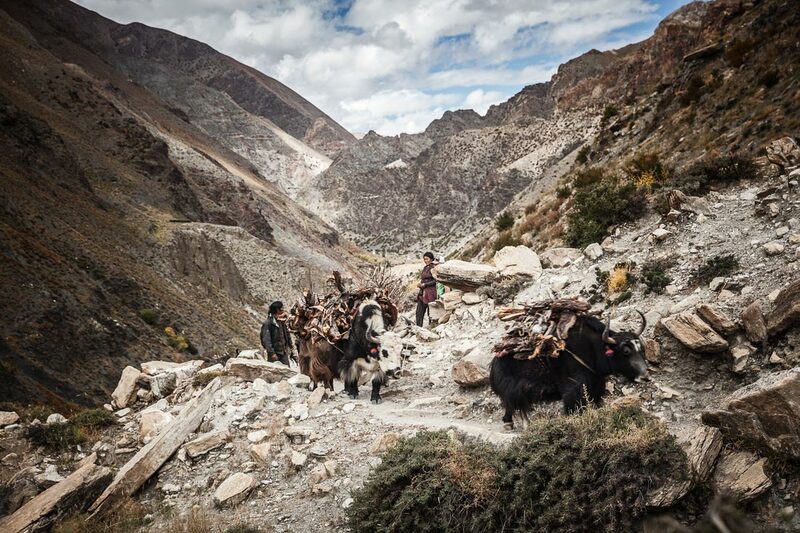 We are on our way to Shey Gompa, our first stop in Upper Dolpo, the area north of the crest. Leaving at the "Nepal" side. Welcome to the "Tibet" side. Shey Gompa was established during the 11th century. Our camp on the Monastery grounds had great views of the Hubajung Khola and the Crystal Mountain. We took a rest day here to explore the many gompas along parts of the Crystal Mountain Kora, and enjoyed our first local goat. 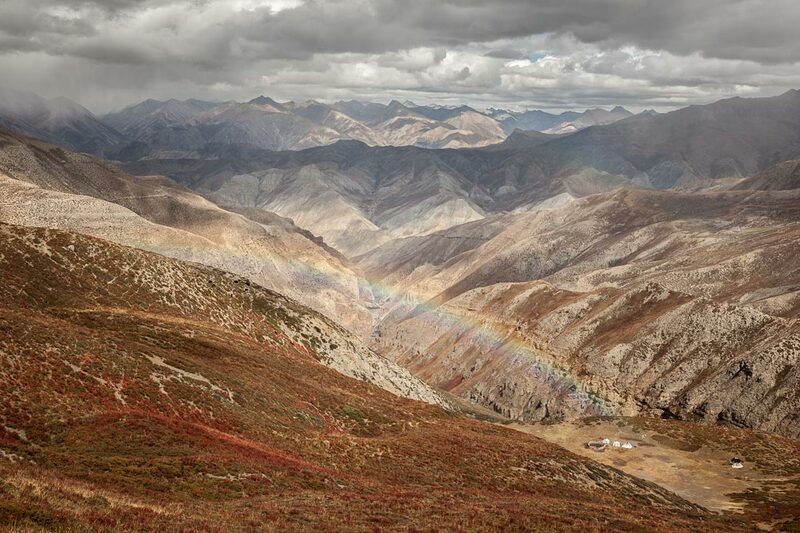 The camp at the end of the Rainbow on the way to Namgung Gompa. The following day was short enough that we planned a hot lunch at our destination, Saldang. 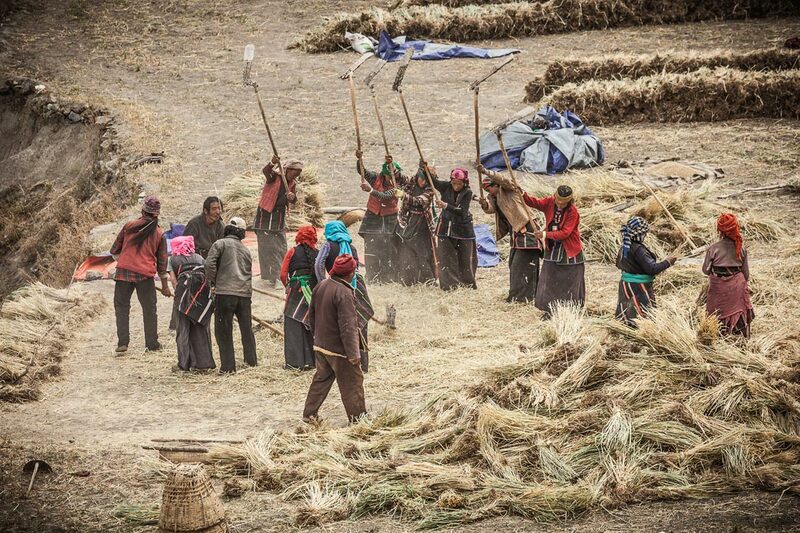 We stayed on the grounds of Dhandup Lama, and watched in awe as the season’s barley was threshed by teams of singing, dancing, smiling workers. Since everyone worked until dark, their children (who were released from school mid afternoon) visited, played, and practiced their english with us for hours. A truly remarkable and pleasant afternoon. Early the next morning we visited the Monastery in Saldang and the Yuthok Norlung Dolpo Hospital. The paintings in the Monastery had recently been redone, taking 12 people 2 years. The detail in the paintings was noticeably more precise than others we had seen, and I asked Dhandup about this. 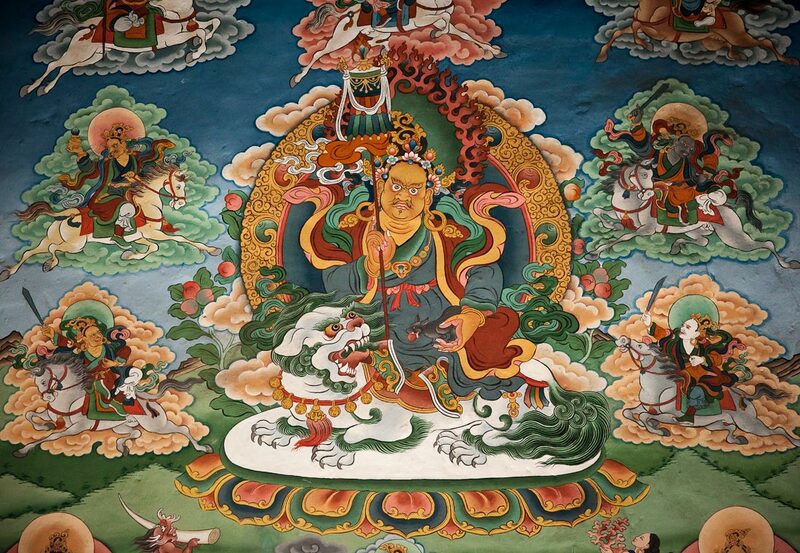 He said that the painter who oversaw the project was Tenzin Norbu Lama. Small world! 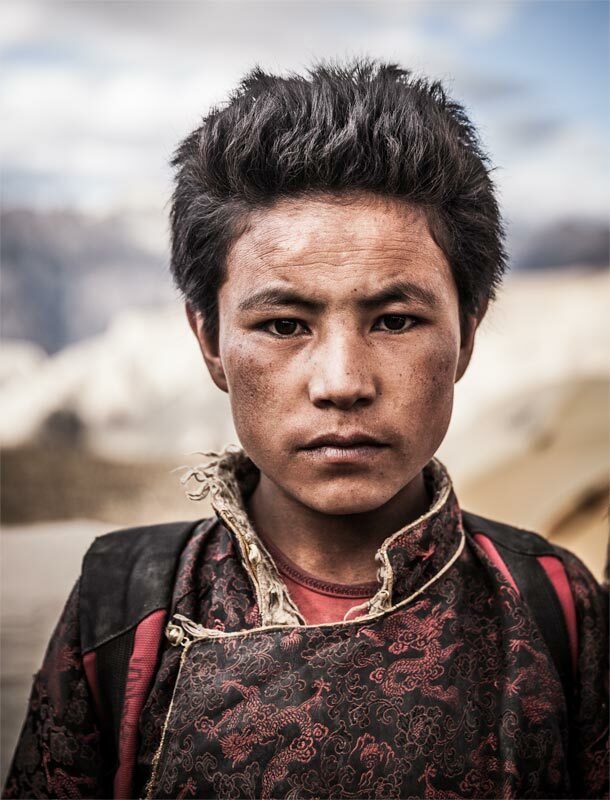 Tenzin and I had been in contact previous to our trip to arrange a visit to his gallery in Kathmandu. His work is very well known and he has authored and illustrated 4 children's books, as well as being featured in many films and books. Komas was are next destination. A half day and another pass would lead us through constantly shifting badlands topography to our camp. This was a short stop on our journey north to Shimen, and one of the last monasteries we would tour for a while. From Tingue we headed due south towards our next high pass and building clouds. One of the great things about trekking north of the crest is the unbelievable scale that you never get used to. The gradually ascending valley takes all day to reel-in and even then it's hard to see that you've gained any elevation. 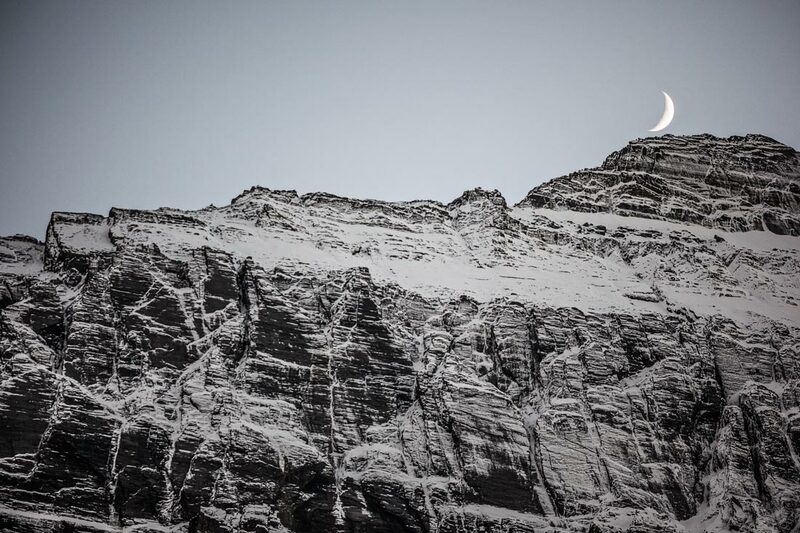 The changing weather and drop in temperatures is the only way we know that our next camp, Larja, is 2000' higher. This is our high camp for Choyela Pass, 16,617'. We wake up in the morning to snow. Crossing Choyela meant that we were back on the southern side of the crest. We left the storm and the snow behind and continued down to the town of Do Tarap. Do is the educational and healthcare seat for the entire region. The school and the clinic here educate the next generation, which return to the region after their higher education. The sense of loyalty that these students have is remarkable, and reflected in the community. The very next day we would head back North and over the crest. 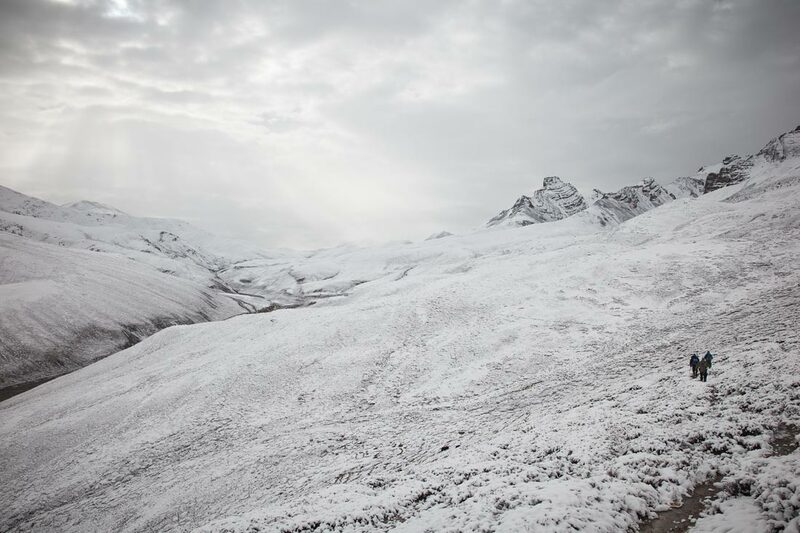 The weather had not let up in the passes, but we predicted a small weather window to work with. If we consolidated the next two days into one, we might get lucky. This would also put us a day ahead in case the weather shut us down in one of the upcoming high passes. Long story short, we took two hard days - packed them in to one - and were lucky that we did. It stormed hard for the next two nights in the high passes. 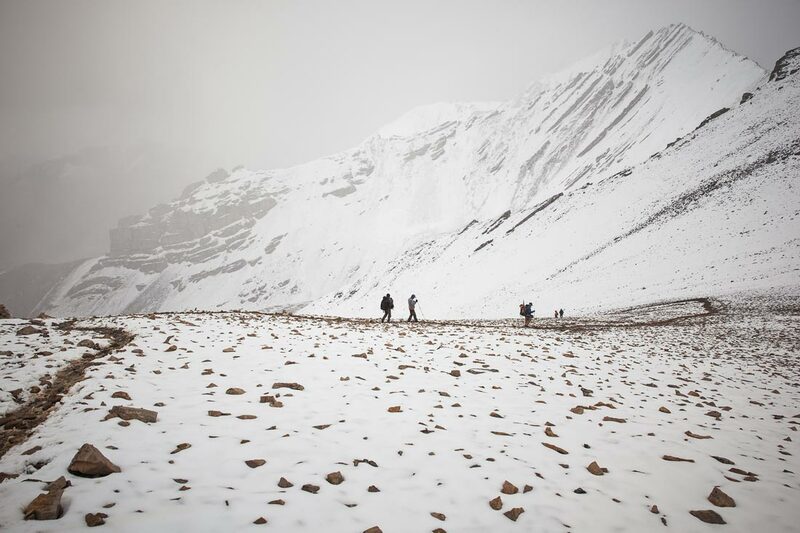 Descending from Charkula Pass heading for Kharka River Camp. 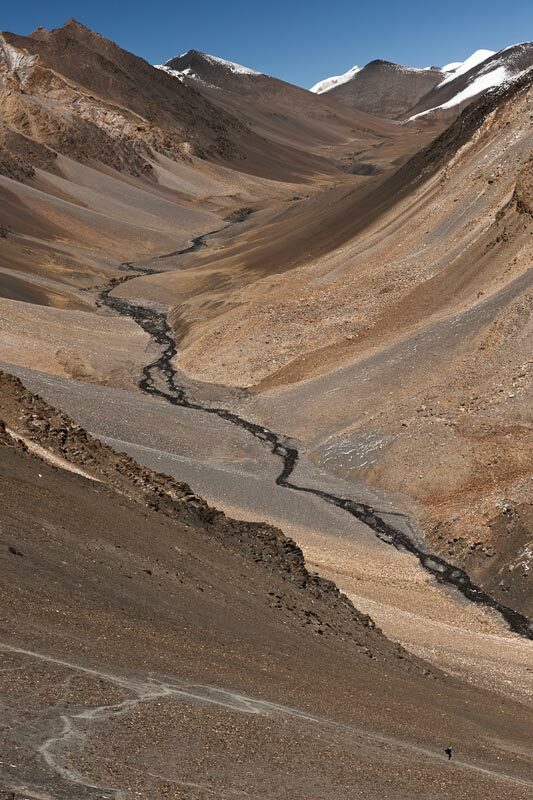 Continuing towards Mustang, the weather kept improving and with an extra day in our pocket we felt confident about the highest and steepest pass in our future, Niwal Pass. 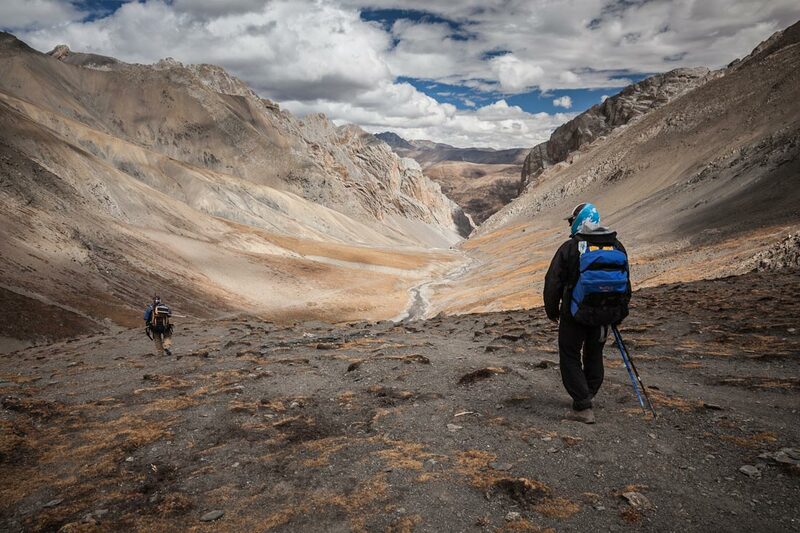 Niwal contains two passes and has the most sporting descent that I have ever seen on a trek. First we must reach Tsharka Bot, and then continue up to Molum Sumna. The day up to Molum will stand vividly in my memory. I often have moments of profound presence in the mountains, but the high meadows were as ethereal as I can comprehend. Hard to capture in a picture! 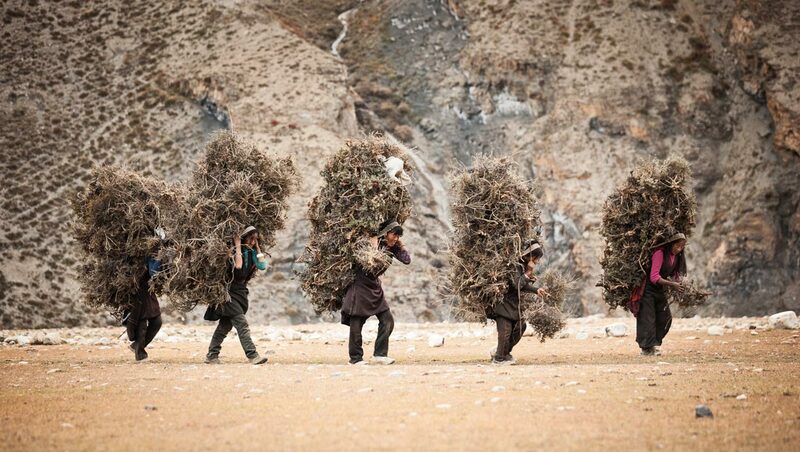 Can you find the trekker? 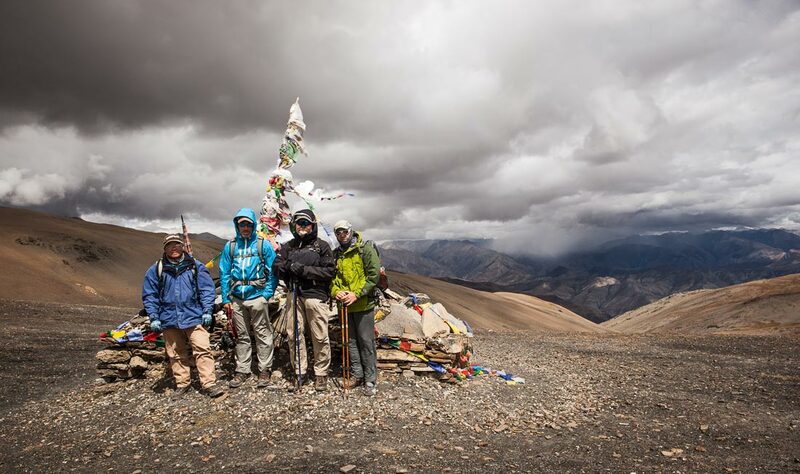 From here on out, we will lose massive amounts of altitude and begin to see large villages and many trekkers. 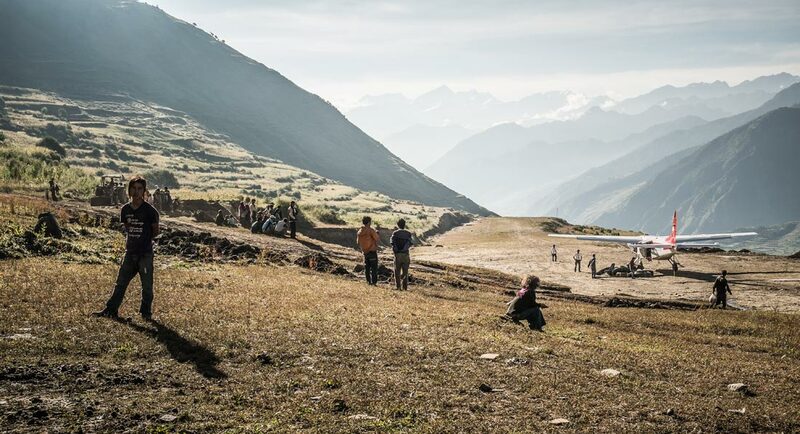 We trek through Sangda, Dalle Pokhari, Kagbeni, and finally to Jomsom where we can begin our journey home via Pokhara and Kathmandu. 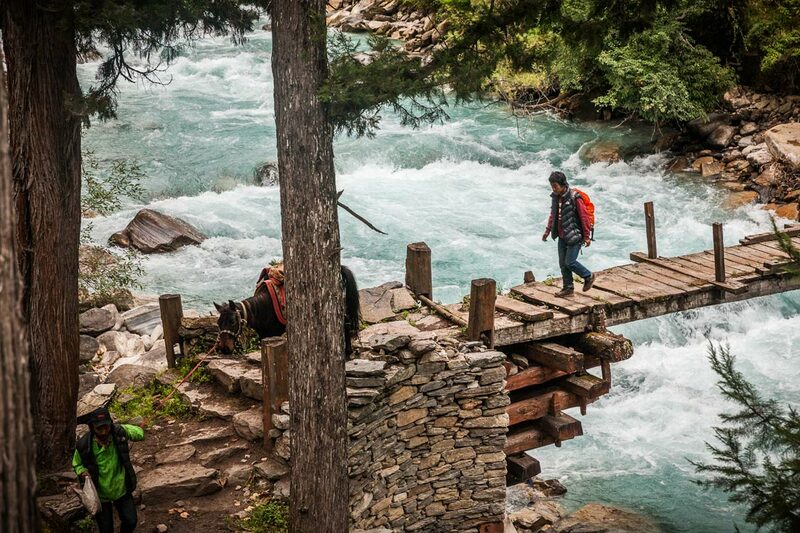 This is just a fraction of the memories and images made on this trek. I'd like to thank Vic, Robert, Steve, Lobsang, Kazi, Jore, Perba, Nawang, Ram, Jangbu, Pasang, and Mohan for going above and beyond every step of the way. Let's do it again!